I still remember last year's 35th Manila International Book Fair which has held back to back with the Best of Anime 2014 event. 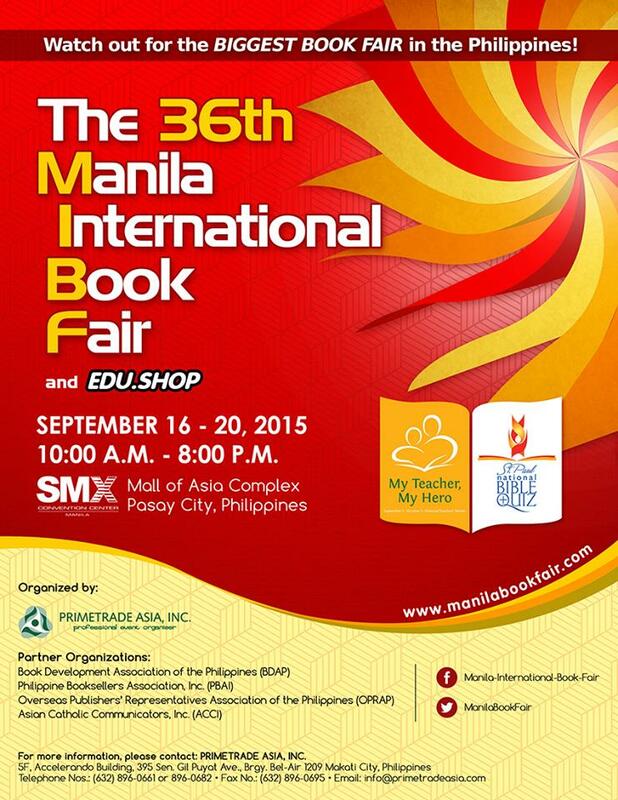 Time flies really fast because another year has passed and the 36th Manila International Book Fair is coming up. Visit the SMX Convention at the Mall of Asia in Pasay City from September 16-20, 2015 from 10AM to 8PM. See poster below for more details. You may also visit their official Facebook page www.facebook.com/manilaintbookfair .